An Australian dingo expert will see how one of our top predators stacks up against big killers of other environments. The prestigious Churchill Fellowship will see Charles Darwin University researcher Dr Arian Wallach will travel to Africa, North America, Israel and India to find out how losing or recovering big predators could impact ecosystems. It is well known that apex predators have an influential effect on all parts of the food chain, dingoes included, but Dr Wallach says there is gap in the comparative understanding of these roles. She says she is keen to compare her research on dingoes with predators such as tigers and wolves in India, lions and leopards in Zimbabwe, and killer whales in South African waters. “Killer whales are social predators, just like dingoes are... [but] there has been little research comparing land and sea predators,” Dr Wallach said. Top-level predators have a common ecological role as regulators at the top of their food chains, with no natural predators of their own. These predators limit population eruptions of their prey, which benefits plant and other small animal communities. 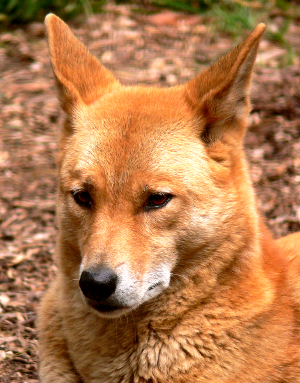 “Dingoes are experiencing such large population declines, which not only harms them but also the species that depend on their ecological services,” Dr Wallach said. She said she wanted to conduct her research in locations where carnivores had been free from poaching or hunting for long periods of time. “It is a globally and nationally important subject... it has been very uplifting to get this support from the Winston Churchill Memorial Trust,” she said. The Winston Churchill Memorial Trust was formed with the main objective of honouring Sir Winston Churchill’s memory through the awarding of these Fellowships.